Interiors have become activated and people work where they land. Bouncing from height adjustable work surfaces to the casual gatherings centered around softer seating, the common need is still power. Inspired by this nomadic affinity, OFS’ AGILE distributes data, power or both to places for individuals and groups. 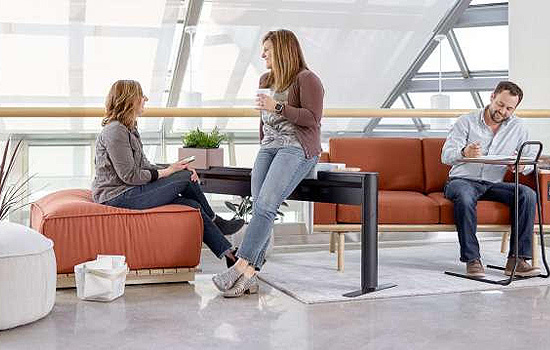 AGILE, designed by PLD Design, evolved to solve for movement, reconfigurability and versatility in work and learning environments. Sliding perches and planter boxes along with surfaces, privacy elements and lots of color choices, AGILE gives you a reason to get excited about power.